jake austin came to me the other day wanting to make something to sell so we can send the profits to africa. we can totally do that! 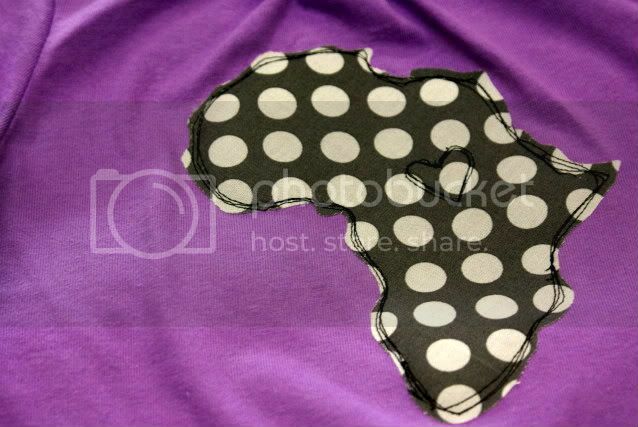 he cuts out the africa applique and i sew it on. $10 from every tee sold goes to charity:water. for every $5,000 raised a well is built to bring clean drinking water to hundreds of thirsty people. he has a goal of funding one well. can we do it in 90 days? you'll find the 4africa tees in my etsy shop.